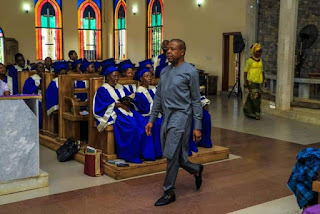 WELCOME TO ELITISM6.COM: ''I will step on toes'' - Ihedioha says as inuaguration day draws closer. 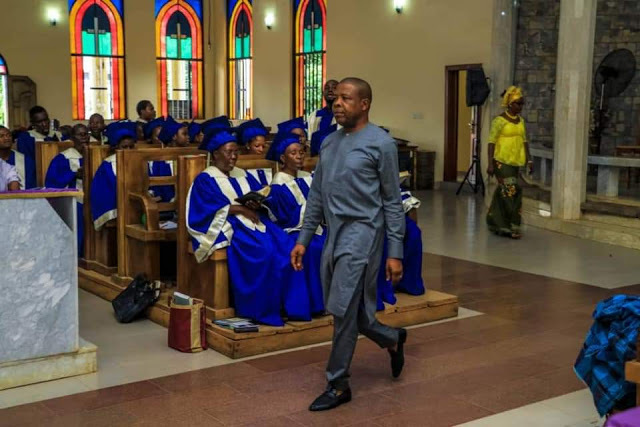 ''I will step on toes'' - Ihedioha says as inuaguration day draws closer. The Governor-elect, while seeking the partnership of the people, urged them to feel free to counsel him rather than condemn him. He said, “rather than condemn for condemning sake, I urge our people to please feel free to tell me those things you think we can do to get things right. I assure you that I will be a listening governor." He promised to set up a Bureau to look into the issues of unduly sacked teachers who still have a lot to offer the state. He frowned at the level of mismanagement of the finances of the state. Earlier, in his address, the Bishop of Mbaise Diocese, Anglican Communion, Rt. Rev.Chamberlain Ogunedo, who officiated the service, prayed to God to give the Governor-elect a heart of understanding to steer the ship of state according to His will and direction. He also prayed God to sustain and protect him and his mandate to be able meet the aspirations of the people. Present at the service were; Amb. Dr. Kema Chikwe, Hon. Ezenwa Onyewuchi, Hon. Jones Onyereri, Hon. Nze Ray Emeana, Prof. Jude Njoku, Chief Kanayo O. Kanayo, Chief Fidelis Anosike, Prof. Chudi Uwazuruike, Chief Austin Papa Nwokorie, Rt. Hon. Nnaemeka Maduagwu, Chief Chinedu Nwokorie, Chief Austin Onwubiko, Chief Tony Abili, Chief Joe Ehioma, Chief Oxide Ogbonna, members of PDP State Working Committee, LGA PDP Chairmen, members-elect of Imo State House of Assembly, governorship candidates of various political parties in the just concluded elections, State Chairmen of various political parties, PDP Candidates in the just concluded election, traditional rulers, various support groups etc.